Now that the days are drawing in and an autumnal chill is in the air soups will feature a lot more on the menu in our house. There is something so very comforting about sitting down to lunch with a lovely warm bowl of soup, good for both body and soul. 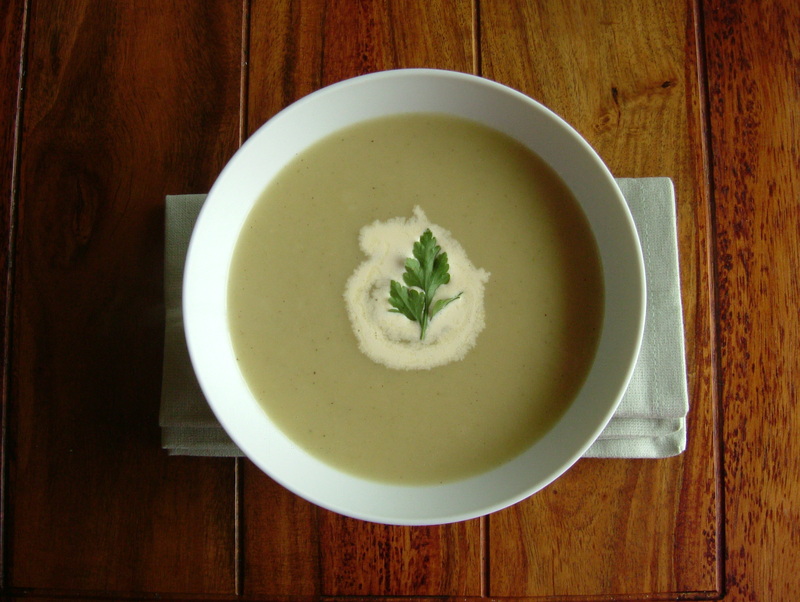 This is the simplest of soups and perfect for days when time is short. Heat the butter and oil in a heavy based large pan on medium heat. Add in the onions and turn in the butter/oil to coat and allow to cook for approx. 5 minutes, stirring occasionally to ensure they do not brown. Add in the sliced leeks, diced potatoes, salt and pepper and stir through the onions. 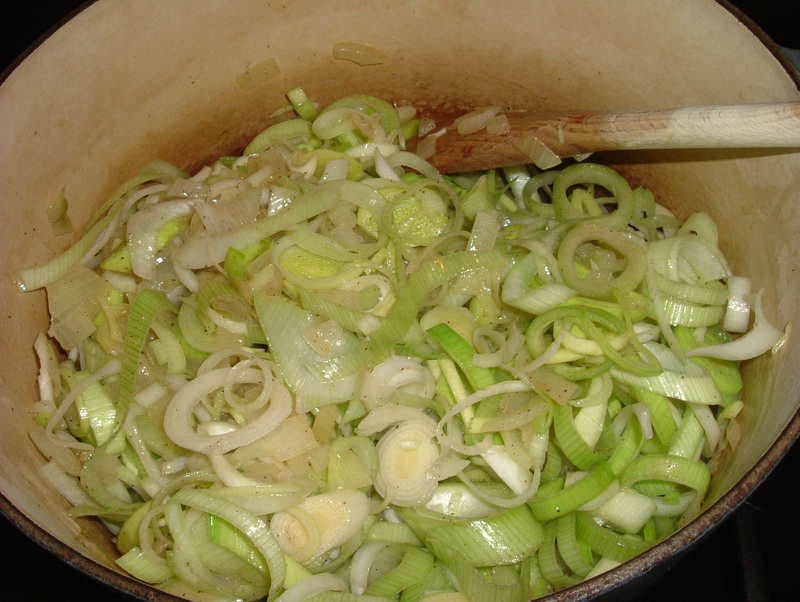 Place the lid on the pot, turn the heat down to low and allow to sweat for around 10 minutes, stirring occasionally, until all of the leeks have become soft. Remove the lid, pour in the stock and water and turn up the heat to high and bring to the boil for 5 minutes and then turn the heat down to a simmer for around 15 minutes. Check that the potatoes are completely soft and then blend the soup. It is much easier to use a stick blender for soup rather than transferring hot liquid to an upright blender. 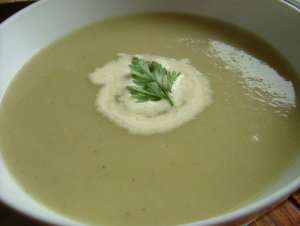 Taste the soup to check the seasoning, then ladle in to soup bowls and if you wish swirl a tablespoon of cream on the top. Curried Butternut Squash SoupIn "Soups"
Ooh I have some leeks in the fridge I didn’t use at the weekend, going to make this with them, it looks delish, thanks for the inspiration! Hello and welcome :) it really is the most simplest of soups to make but no less tasty for it!